Aixplorer Ultimate in 60 seconds from Supersonic Imagine on Vimeo. SuperSonic Imagine’s new edition has made new technological breakthrough! 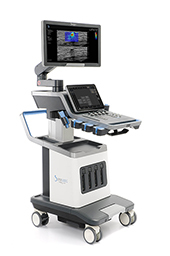 Next generation of UltraFast™ Imaging combined with a unique user experience, great simplicity, technological innovations such as the SonicPad™ and enhanced clinical performance.